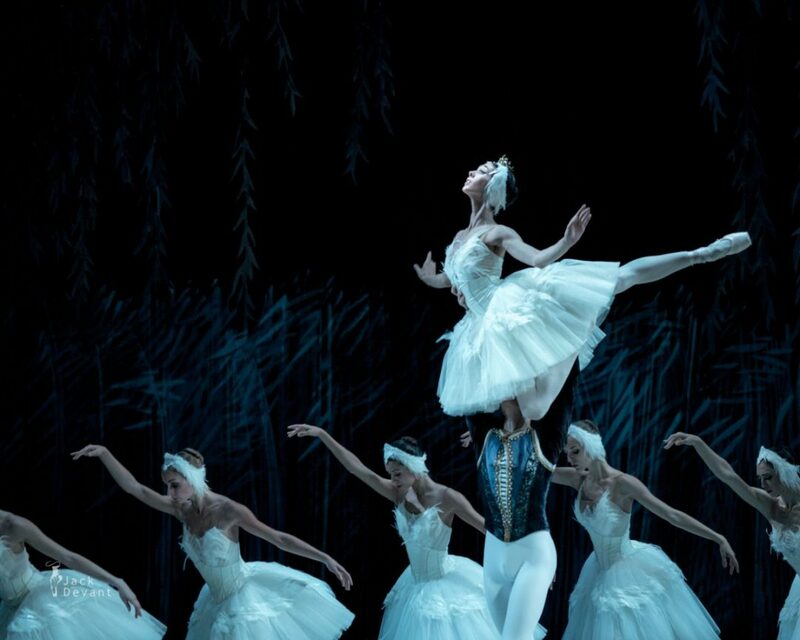 Swan Lake act I adagio Polina Buldakova and Oleg Kulikov. Music by Pyotr Tchaikovsky, choreography by Marius Petipa, Lev Ivanov, Alexander Gorsky, Konstantin Sergeyev, revised by Alexey Miroshnichenko. Shot on 22.6.2016 in Perm Opera and Ballet Theatre in frames of the Diaghilev Festival. Polina Buldakova (Полина Булдакова) is prima ballerina with Perm Opera and Ballet Theatre. She was born in Yekaterinburg, moved over to Perm and graduated Perm State Choreographic College in 2011. Joined Perm Opera and Ballet Theatre ballet company same year. In 2015 she was promoted to Soloist and from 2016 as Prima Ballerina. Oleg Kulikov (Олег Куликов) is young dancer with Perm Opera and Ballet Theatre ballet company. Photos by Jack Devant ballet photography © with kind permission of Perm Opera and Ballet Theatre and Alexey Miroshnichenko, special thanks to Ms. Irina Kolesnikova.